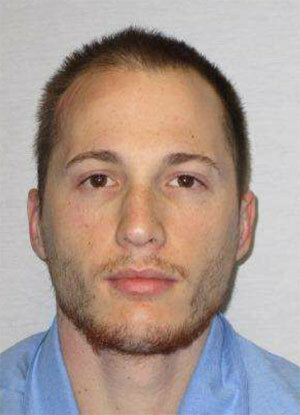 An inmate has escaped from the Iowa State Penitentiary in Fort Madison, the state’s maximum security prison. Iowa Department of Corrections spokesperson Fred Scaletta says 25-year-old Justin Kestner was last seen at 1:30 a.m. during the routine count of the inmates. He was discovered missing at 4:45 a.m.
Kestner is white, 6’0″ tall and 172 pounds. He has brown eyes and brown hair and has tattoos on his left arm on both hands and on the calves of both legs. Earlier this morning police knocked on the doors of homes surrounding the prison, warning residents that Kestner was at large. Kestner is serving a 10 year prison sentence stemming from a 2009 theft charge out of Woodbury County. He robbed a Sioux City convenience store.